My yeasted waffle batter certainly rose. When I stirred the warm milk/butter solution into the flour/yeast mixture last night, I was afraid I was being impatient and combining it too soon. My concern was that it was still too hot and the yeast would be killed. I am aware it is a living thing every time I make something with yeast. 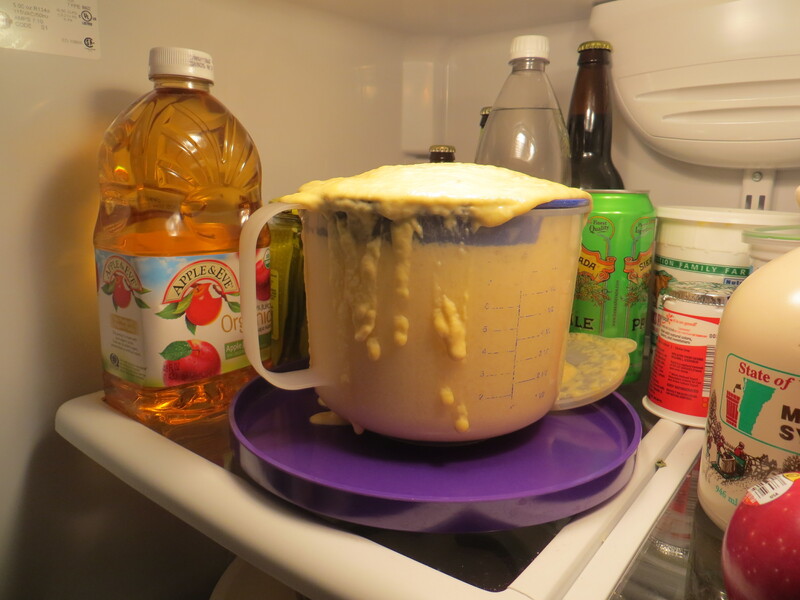 I did not want to wait any longer, however, so mixed it and stored it in the refrigerator to rise slowly. Good thing I put it on a plate. My worries about killing the yeast were unfounded, as you can see. My bowl could not contain the risen batter, but once I re-stirred it it sank back down to a reasonable volume, so I heated the waffle maker and made up some waffles. We can only cook one at a time and so I kept dishing them out, all the children (sleepovers happening last night) getting a half or a quarter at a time. It isn’t a quick process. With fresh fruit and warmed maple syrup, however, it was well worth. Does it take a lot of time and effort? Dude, yes. But I will so make them again, many times, they are that good. 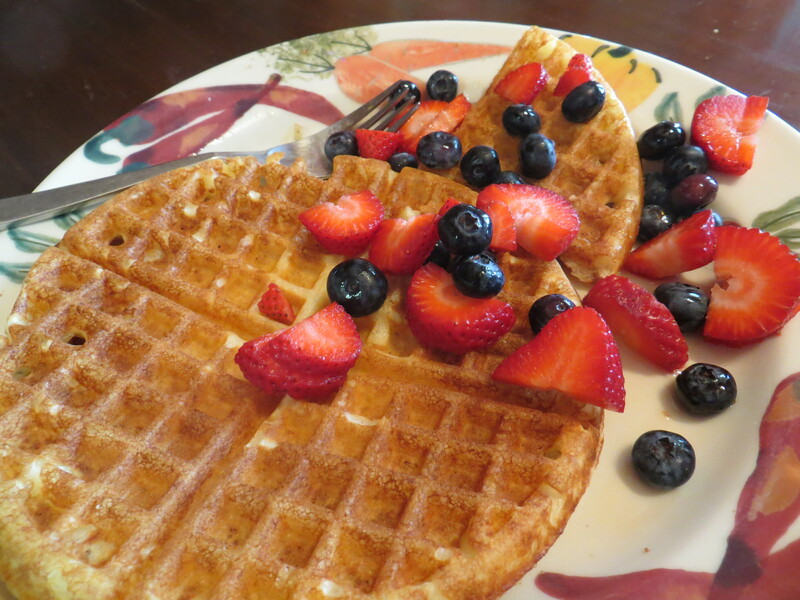 If you never make waffles, or if you are still making quick-rise waffles, you are missing out. Go old fashioned and introduce yourself to yeasted waffles. You will wonder why you never met before. This entry was posted in food and tagged batter, breakfast, waffles, yeast, yeasted. Bookmark the permalink.